A record number of people join the church, as local churches are planted rapidly to nurture new members. A major drive to engage every church member in Total Member Involvement has helped propel the Seventh-day Adventist Church past 20 million members for the first time in its history. The Adventist Church had 20,008,779 members as of Dec. 31, 2016, a net increase of 882,332 people, or 4.6 percent, from the previous year, the church’s Office of Archives, Statistics, and Research said. 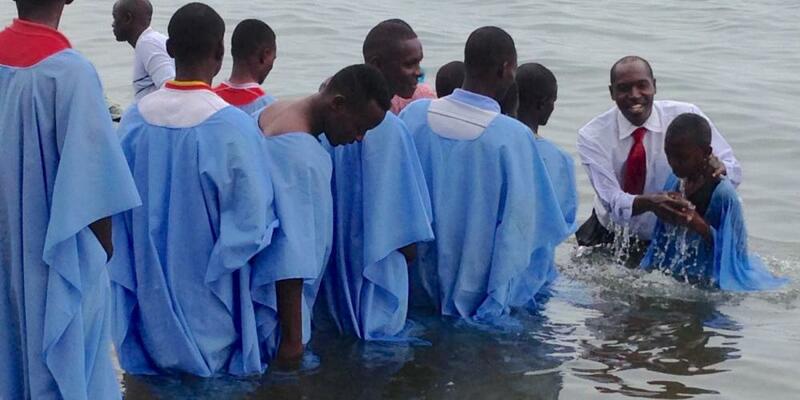 In another milestone, a record 1.2 million people were baptized last year, including an unprecedented 110,000 in Rwanda, while new churches continued to be planted at a rapid rate. Total Member Involvement (TMI), implemented in its first full year in 2016, is a world church initiative that encourages every church member to actively share the gospel in his or her community. Outreach efforts include literature distribution, Bible studies, cooking classes, health seminars, free clinics, and public evangelistic meetings. Reacting to the new membership figures, Adventist Church president Ted N.C. Wilson emphasized the connection between church growth and the involvement of every church member, especially lay people. “The engagement of lay people in Total Member Involvement is so important to what we are seeing happen in the world church,” Wilson said. Statistics indicate that the Adventist Church, founded in 1863 with only 3,500 members, is going from peak to peak in membership growth. The church has witnessed record accessions in each of the past three years, with 1,167, 506 new members in 2014, followed by 1,260,880 new members in 2015, and 1,314,950 in 2016, Trim said. Last year also was the first year that baptisms — as opposed to professions of faith — exceeded 1.2 million, he said. In all, there were 1,271,305 baptisms and 43,645 professions of faith in 2016. The Adventist Church, which is organized into 13 world divisions and two attached fields, saw the highest growth in the East-Central Africa Division, with 338,638 new members (334,571 baptisms and 4,067 professions of faith) for a total reported membership of 3,502,462. The division’s territory includes Rwanda, where 110,476 people were baptized after months of prayer and other TMI efforts culminated in evangelistic meetings at more than 2,000 sites in May 2016. Last year, the Southern Africa-Indian Ocean Division had the second-highest growth with 276,601 new members, bringing its official membership to 3,747,573. Trim also pointed to continuing record levels of church planting. A total of 2,655 local churches were established last year, or one new church every 3.3 hours, a figure just shy of the record of one new church every 3.2 hours in 2015. Worldwide, the Adventist Church has 154,710 congregations, which include local churches, companies, and groups. World church leaders rejoiced about the church’s rapid growth, but they also underscored that efforts must be made to nurture new members. “We must remember that retention and nurture are the other side of the same coin as evangelism,” said G.T. Ng, executive secretary of the world church. While robust membership growth was reported last year, 352,722 members were deducted because of dropped membership or being registered as missing in church membership audits, Trim said. He noted that this is the lowest deduction since 2006. He said an average of 584,000 people were deducted annually over the past 10 years, and if the same number had been deducted in 2016, overall membership would not have reached 20 million. “The spiritual lesson here is that we shouldn’t be so blinded by numbers that we seek only to add, that we only baptize and don’t nurture new members into a live of active discipleship,” he said. Evangelist Interrupted My Big Soccer Match A Romanian speaks about his faith, cystic fibrosis, and a remarkable dream.